Vitus Barth has created an amazingly detailed and realistic urban industrial diorama a month ago. It’s better that this masterpiece gets blogged late than never, and who would’ve thought that this is only his first large LEGO diorama! 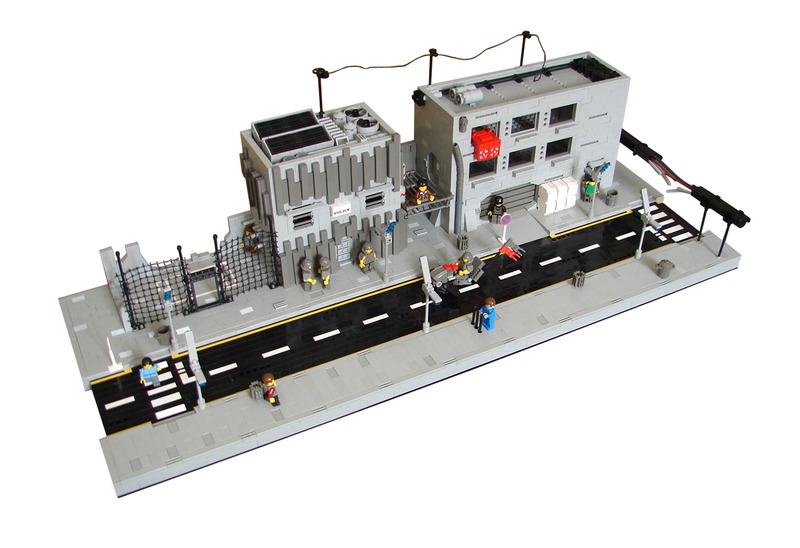 Congratulations on your very first blog entry for the BrothersBrick! … and what a first blog entry it is indeed! superb detail, although everything in the dio seems too smooth and somewhat boring at first sight. but after a second glance, the numerous greebles and itchy little tweaks become visible. if only Vitus had posted more pictures … great building style, perhaps he’s got lots more up his sleeve. Very nice! Great MOC for your first post. I think the broken conduit is my favorite detail. Welcome to the blog!